Excellent pictures. Wish I was there. Look forward to seeing the gig shots and reports too. 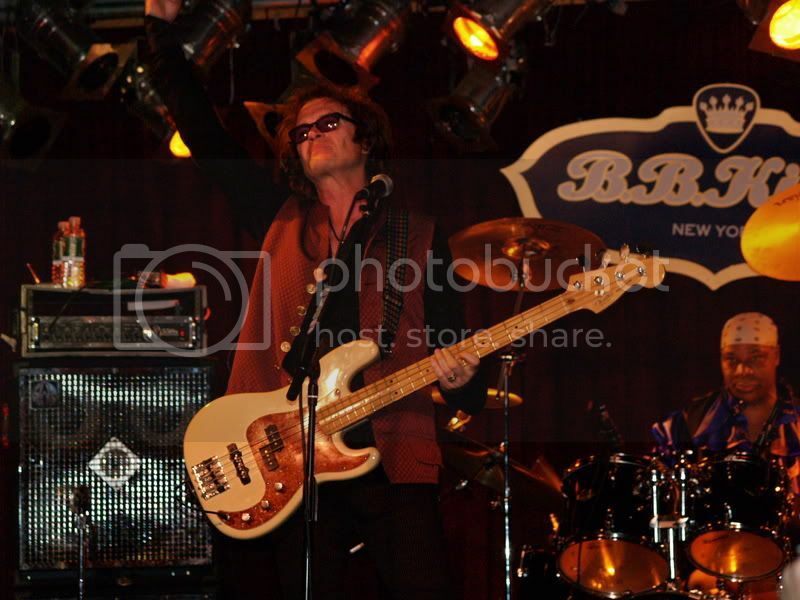 Yes, we are enthusiastic Glenn Hughes fans. it's all Glenn's fault that his name is always mis-spelled. she would have made him practice "The Palmer Handwriting Method"
You made me laugh with your witty remarks (as usual by the way)!! I liked the variants you suggested of Glenn's name!! Hope he won't be angry with us after this!!! Looking forward to the report & pix. All I can say is...WOW!!!! Another breathtaking performance by GLENN and the band, who were smokin' tonight, despite a few technical glitches along the way, they showed no sign of trouble - the sound was again top notch, despite the unusal floorplan of the venue. Newcomer Steve Stephens on drums was excellent and both Jeff Kollman and Ed Roth were outstanding. As usual, I underestimated the Lincoln Tunnel traffic, so my 12 mile ride took 2 hours. As such, I missed a chance at a decent table and was one of the standee's at the bar (though it was still a good vantage point). Never seeing MkIII or IV songs live before, they were welcome. Burn, done by any band, is a treat. Also was feeling his solo stuff. Thank you David & Shirean for all you do. For Christ sakes!!!! I had to sit through Fall Out Boy and 5 other sound-the-same bands last night! while waiting for the opening act, or Glenn, to start? to listen to old Rolling Stones records blasting from the PA system. It was really aggravating to have to yell "Hello" to people. seemed to me, that Glenn played an awful lot of bass for each song. arrogant..... in your face style, for the funk, etc. but Glenn was kind of busy...........uhhh, singing at the time. a singer and bassist, more so than I've ever heard before. Anybody agree with me about this? What talent the man has! And what class........to step back for the band solos. How does he do it? Any of it? and funny, for the "meet and greet" afterwards? I have no clue. PS............Thanks, David. I appreciate your help, for my quick get-a-way. I was able to catch the last Lakeland Bus Line (1:00am) back to Jersey. My car was waiting for me, SAFELY, at the Parsippany PD parking lot. HOORAY! First time seeing Glenn and he did not diasappoint! He sings so well - his range and power are unmatched. Show was great - would have liked a Trapeze , Seventh Star song or some of his older solo songs.... but I guess he would have to play all night. The crowd was great and it was packed glad I got good seats in the front. All I can say is WOW! It was just unbelievable! I knew it would be good but it was so much better than I expected. He was nothing short of amazing. I have to agree with Grace about his bass playing too. It was my first show so maybe that's how his bass work comes off live? I just never got that listening to the recordings, whether they be live or studio. He really ripped it up last night on the Fender though and his sound was killer! His voice was just outstanding! He never ceased to do something mind blowing. Talk about singing from the soul! The rest of the band smoked as well. I was very impressed with Jeff. Great player. I also must mention all the really cool people I met. Wolfy, Frank, Ben, Grace, David, Shirean and all the significant others. Plus those whose names I can't remember right now. We just had a great time. It was a birthday I'll never forget. Thanks to all those who made it happen. You are all tops in my book. I look greatly forward to doing this again with you all as well as meeting those who couldn't make it this time. Last but certainly not least, thank you Glenn!! You are a talent beyond words and to see it up close and meet you was incredible. It might be just a tiny detail....but seeing Glenn's name next to BB King's pic on the marquee is not a mere coincidence! Glad to see that my NY crew (and especially those from Brooklyn!) had such a great time! I have been a HUGE Glenn fan for over 30 years now. For the first time I saw him live last night at BB Kings in NYC. What an incredible artist!! His voice is better now than ever, and his bass playing is second to none! Loved his band as well, Kollman was incredible. Big Daddy put on quite a show to say the least!! I don't quite know how to put my feelings re: the BB King show last night into words. It was simply breathtaking, jaw-dropping, eye-misting, spine-tingling... oh, I guess you get my point by now! Glenn's vocals have never sounded better and his bass-playing had me completely floored. 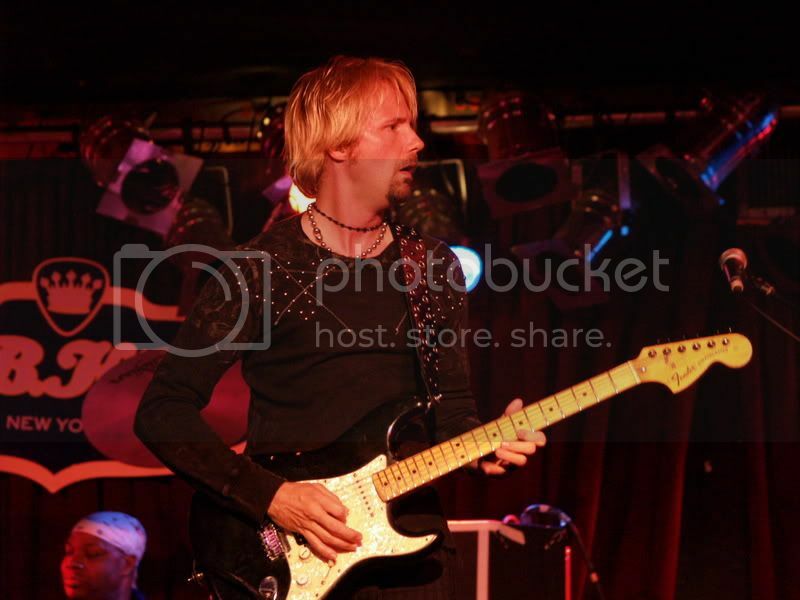 Jeff Kollman is the perfect guitarist for Glenn's music (no offense to JJ). New drummer, Steve Stevens, is fantastic too. Keyboardist Ed Roth did a great job adding color and background to the sound, especially during vocal solo spots like "This Time Around". I thought the setlist was interesting and definitely showed New York that Glenn is looking forward rather than backward. Mostly Soul Mover and Divine tunes with a handful of Purple. I was definitely excited to see Glenn continue to strive beyond the nostalgia route which many of his contemporaries have undertaken. Anyway, Glenn and company, thanks for the great night out in the Big Apple and for putting on the best performance I've seen in a long, long time. I have to agree..........about his bass playing too. much more of a noticeable bass guitar sound than ever before. I also must mention all the really cool people I met. It was a birthday I'll never forget. You are all tops in my book. Yes, we GHCPs are all rather perfect people, huh? I'm glad that GH gave you a special way to celebrate your Birthday! Well the whole thing did blow by rather quickly, didn't it? There was just so much to soak in and we just needed some more time I think. Well, last night was just plain great! I've waited my whole life to see this man perform live and I finally got my chance last night in New York City for a sold out show at BB King's. Me & two musician friends of mine took the train to the city and arrived around 4:30pm. We decided to go straight to the club and hang at Lucille's at BB King's for some drinks and appetizers. Lucky for us, we talked to the door man and got a ticket to be called before the doors opened to BB's for the show allowing us first dibs at seats. There was a line of a couple of hundred people waiting outside to get in and we got to slip right in front of them and get a table a few feet away from Glenn. We had two hours to kill before showtime so we had dinner and drinks a chatted with the fans who were sitting next to us, a great bunch indeed. First up was Danny Johnson who to my surprise played solo with no band and just a rack of toys which provided drum, bass and keyboard tracks. I've been a fan of his for years. 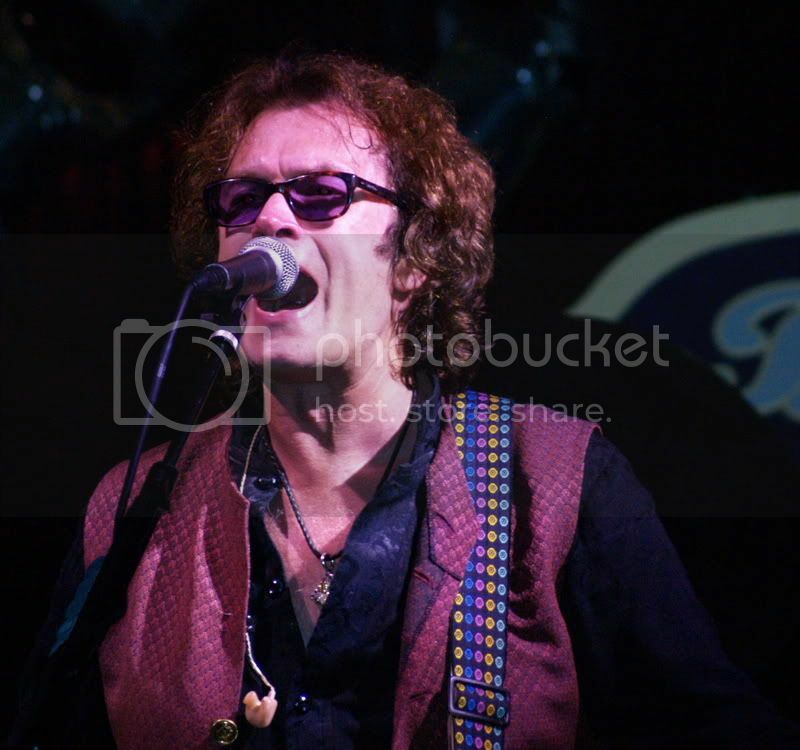 He has played with some great bands including Axis, Derringer, Alcatrazz, Alice Cooper amongst others and is currently with Steppenwolf and a solo artist. He dished out a great one hour set and played some awesome leads. A highlight for me was hearing a Derringer favorite "Driving Sideways" & Axis' "Those Brown Eyes". 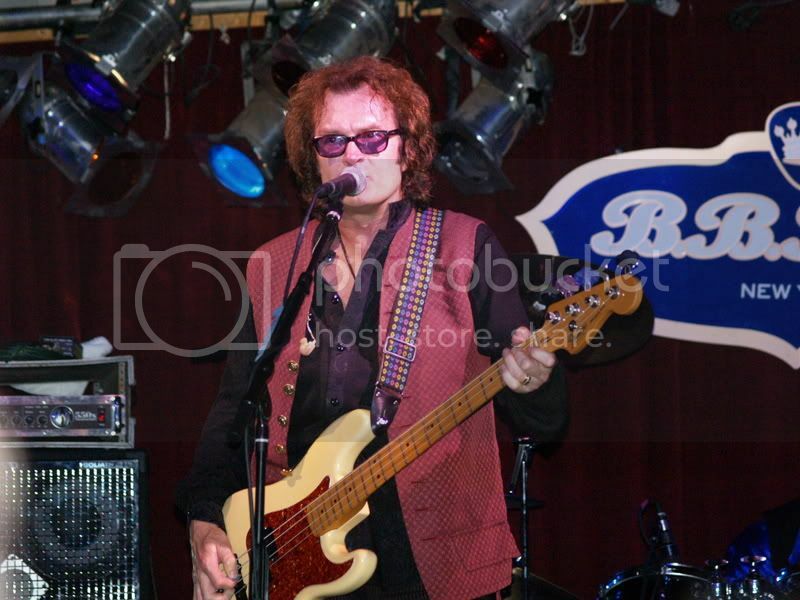 Glenn Hughes was firing on all cylinders and was pumped to be back in NYC after 32 years! His new band members Steve Stevens (drums) & Jeff Kollman (Guitar) really impressed me. They put on a solid HIGH ENERGY set that lasted two hours. Glenn's enthusiasm and non stop energy was a sight to behold. The guy never stopped moving and he had some of the best moves, struts and facial expressions I've ever seen. He's puts players who are half his age to shame. They don't call him "The God of Voice" for nothing. This guys was sending shivers down everyone's spine with his incredible singing. He has the most incredible range, emotion & soul I've ever heard come out of a mouth. 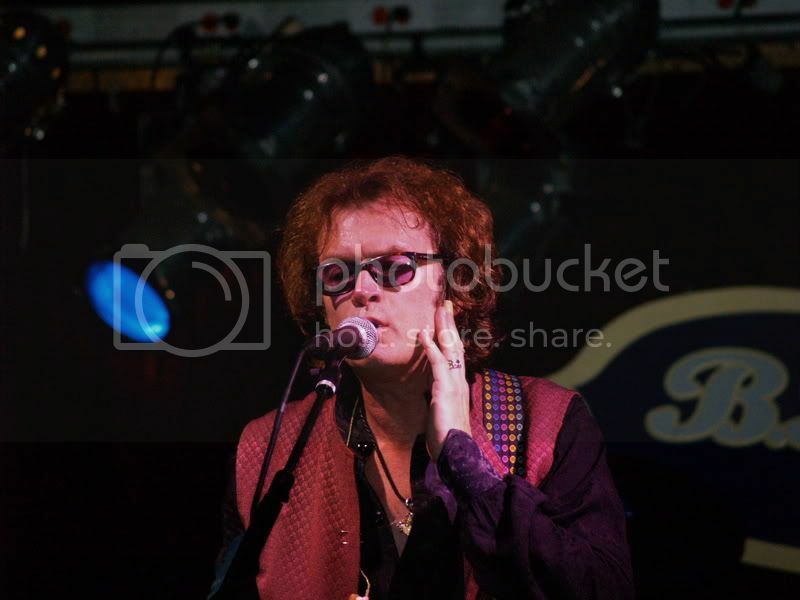 He and his band ripped through tunes from Deep Purple with great versions of "Mistreated", "Getting Tighter" & the set closer "Burn" and tunes from his latest solo releases. The night was full of some fantastic jamming. "Mistreated" was full of surprises and lasted about 20 minutes! I was hoping for some Hughes & Thrall/Trapeze/Iommi & Hughes but what was played did not disappoint as I love all of his solo material. The tracks from his new record "Music For The Divine" were excellent. I'll be picking that one up for sure. Aside from a few sound issues like Glenn roasting the bass rig on the last song before the encores (he played through a Fender Twin Reverb for the last two songs) and some trouble with the keyboards and vocal microphone which were fixed quickly the show was top notch entertainment. To top off a great night in NYC seeing one of my idols we got meet him and his band after the show. I got a bunch of pictures of the show & one of me & Glenn sitting together. He also signed a few CD's for me. He says he'll be back next year and I, for sure will be back to see this legend. Great pictures David! Thanks for posting the setlist too. I think you were sitting right in front of me at the show. It doesn't get any better than that...a band on fire, great people, great food, GREAT City!!! Wish I had more time to spend with the fellow GHCPeeps. So great to see you all again. the show was amazing!! i know he has a great voice, but i did not expect it to be SO STRONG and SUSTAINED!!! i will post a more complete review soon!! can't wait for next year- Glenn owes us for not coming around in the States for so long !!!! Just got back to the UK after a fantastic trip to NYC ! What a great show & made all the better by having the chance to meet such a nice bunch of people (as if I thought otherwise !!!). I didn't think the Shepherds Bush concert in March could be topped but it certainly was & I won't go into details as it's been covered above. A HUGE (Hugs,Hughs,Hoos,you get the drift!) thanks to Glenn,Jeff,Ed & Steve for making it the event it was & then having the energy to 'meet & greet' after -what a really personable bunch they are too,very approachable & that evening will live with us forever! HUGE thanks to David,Shirean,Vinny,Frank & Wolfy for pulling this all together for Jayne & I Sorry if I missed anyone,the night was such a blur ! Well,Frank, was it Doro or Hot Tuna in the end? Hey,John, you did get a 'Happy Birthday' from us as we awaited Mr Hughes afterwards,didn't you! - the pizza cake & candles were missing though Glad to hear you had such a great night,as we all did. A spectacular night for me. Seeing Glenn Live for the first time, with my 18 year old son, who wants noting more than to play drums for Glenn. Meeting an old friend at the show and meeting my date for the first time, who turned out to be a remarkable woman! Figured I'd add my pictures here you go. Part 2 of Wolfy on Tour! While Chip and Todd drove off back to Vegas to catch their respective flights home, David, Shirean and I shared a taxi to LAX on Sunday as David and I were on the same flight while Shirean was on the same one as Glenn. The plane was overbooked but we made it on and landed at JFK 45 minutes late to be met by Mike Moore who was picking up Glenn. I had pre booked my ride so said goodbye and headed for my hotel www.jollymadison.com. It was hammering down with rain and I was tired so headed straight to bed as it was late. It continued to pour with rain till around 2pm on Monday but I got out to the local deli for food and water without getting wet. I called up Frank at his hotel and walked over to meet him and his wife Maggie there for 3pm before we headed over to Ben’s Kosher Deli. Within 10 seconds of going in I get “Wolfy!” It’s Forever Young and his buddy who had travelled down from Phillidelphia – from now on known as the Philly Guys I’d tell you how great the food and service was – but it wasn’t! Then the other Brits, Ben and his lovely partner Jayne, arrived We left for BB’s as we had decided to eat there. Met up with Vinnis and all the other Crazy People in the bar. Over a couple of beers, the Philly Guys and I put the world to rights and solved the Iraq war – and we had only met 2 hours earlier! Before long it was show time. Vinnis had arrived early and made sure we got 3 tables of 6 all together near the stage Turned out Gabi and her friends were directly in front of us. We ate while Danny Johnson was on. Believe it or not but Ben’s food you see in the pic was a starter not a main course Frank had some oysters, then some more oysters, then a giant steak. We had a real fun table. Frank is the very definition of the phrase “larger than life character”. It was a privilege sir! Ben, make sure Jayne gets that Yorkshire Pudding technique mastered and a new tray to cook them in! And I finally met the Axe Lady herself – Grace This was a real social event never mind the fact Glenn was going to perform for us too! Danny Johnson played a longer set than in LA and got a decent reaction from the crowd. Then on came Glenn and the band. No pre-recorded intro of Valiant Denial this time. Jeff just cranked up his guitar and started it off himself. Much better that way I thought. Unfortunately Ed had no sound from his keyboards at all for the whole song. Glenn said they would wait for it to be fixed before carrying on. Still a few problems but by the third song it was fine and all of a sudden Jeff’s guitar was louder and clearer in the mix too. Just jumping out at us. Glenn was once again supreme with immaculate singing and bass playing There was a point in one song where he hit a note so high I am sure only dogs could hear it! Forget Mariah Carey’s octave range, Glenn’s seems to be bigger and more powerful! His energy levels for an old geezer are amazing. New drummer Steve played very well considering his short rehearsal time and got a little solo spot and also the same showcase jam during Getting Tighter(I think) that Chad did. Reminded me a bit of Dance With The Devil (Cozy Powell). 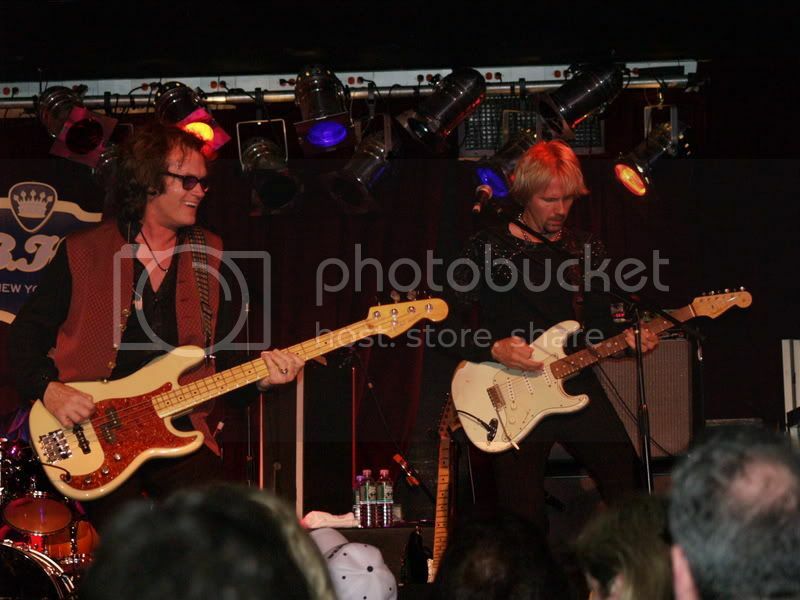 This was also the show where Jeff Kollman hit absolute top form. Sh*t Hot was how I would describe him Glenn gave him more freedom and extended intros to show what he can do. The opening of Mistreated was a killer and I wish I had videoed it! Philly Guys and I kept saying “Jeff is red hot tonight”. David had told us that after the show there would be a meet and greet and that us GHPG folk were getting priority treatment We stood separate from the line that went right round the club and were then invited backstage to line-up and wait for Glenn to come out after a quick chill out. Just so all of you who waited know, the guy in the white jacket, shades and long black hair was Electric Dave (see my pic). Turns out he had been in contact with a certain Mr Galley who had told him a bunch of Crazy People from the UK and across the USA were headed his way to see Glenn and could he use his role as backstage fixer to sort out something special for us. I’m sure you will agree he did! “Wolfy!” Out comes Glenn and he was his usual friendly and down to earth self and happy to chat to each of us individually and sign pictures etc. We even discussed The Wolves! What a birthday treat for my new Philly mate John. If only Shirl had a friend who could have got Glenn to sign an exclusive, unpublished, behind the scenes picture of Glenn taken at the NDA event then she would have had something for her birthday too! Thanks for signing those pics mate and I’ll be emailing you again with some more stuff! Once we had all been seen we headed back out in to the bar area and Glenn came out with Gabi and Electric Dave to sit in a booth and meet the rest of the fans for pics and autographs. Us GHPG folk continued to chat with each other and with Mike Moore, Jeff, Ed, and Steve. What a great bunch of guys they are socially too. I told Steve he was now famous and would be seen on the internet within hours! He seemed genuinely pleased and surprised by the strength, warmth and all round friendliness of Glenn’s fans. Plenty of chat and pics with the guys later it was time to leave as there was no-one left but us in BBs. Left the hotel at noon Tuesday for my bus trip back to JFK, then on to Atlanta, and finally landing in Manchester on Wednesday at 10.15am. Then another 1.5 hours drive on the motorway home! Knackered!! Was it worth it? OF COURSE!!! I would definitely fly to another show in NYC as that is cheap and easy to get to and always deals available from here. Just give me some advance notice Glenn! Hopefully for you guys in the USA there will be more shows soon. Glenn needs to take the bull by the horns and book some shows elsewhere. The people WILL come Glenn, especially in the old Trapeze stomping grounds of the South from where there are messages everyday on the Trapeze page asking for you to come back. Glenn and all his band are fantastic people AND so are all his fans.